Saint Luke's Place Auxiliary has been in existence for many years. Auxiliary members are extremely committed to Saint Luke's Place and the Foundation, working very hard to raise funds which are donated to support the mission, vision and values of the organization to care for our residents. Auxiliary donations have been used to purchase equipment and furnishings that benefit and enhance quality of life for those who call Saint Luke’s Place their home. 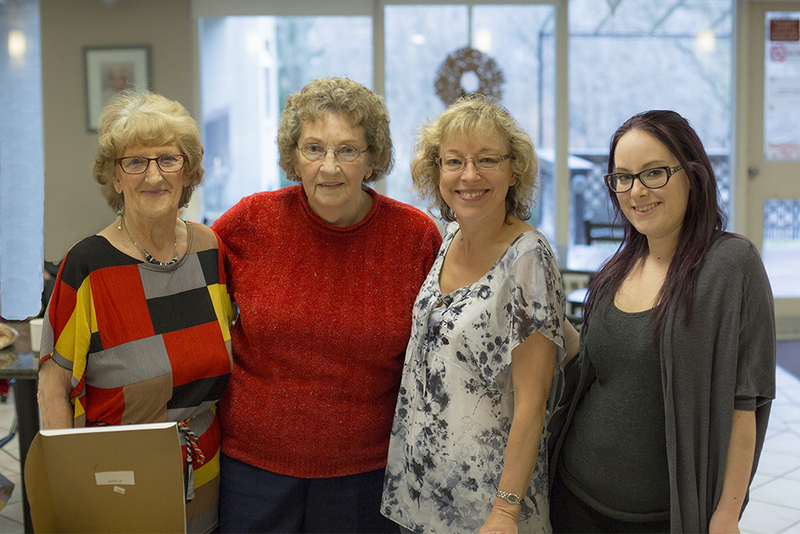 The Auxiliary operates a volunteer run coffee shop and a tuck shop, hosts coffee parties and tea rooms, and holds seasonal bake sales in support of Saint Luke’s Place and the Foundation. The annual Christmas Bazaar, hosted by the Auxiliary, is one of the most popular holiday events in our community. We are extremely grateful for the loyalty, dedication and generosity of the Saint Luke’s Place Auxiliary and its members. Since its inception, the Auxiliary has contributed well over $409,000 in support of the care and services we provide to our residents and to our community. Listed below are some of the numerous ways in which the Auxiliary has supported the Saint Luke’s Place community. If you are interested to volunteer a few hours a month with the Auxiliary, please contact the Saint Luke’s Place Business Office at (519) 658-5183.